On February 28 James got baptized, he was so very excited and happy. Here he is wearing Grandpa Jim's tie for his special day and all dressed and ready! 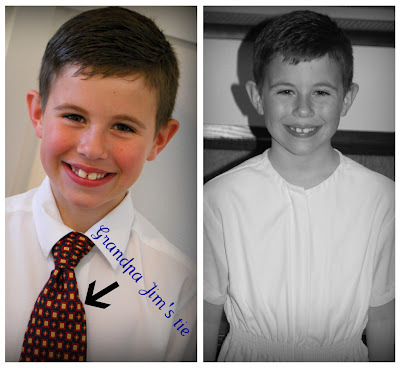 His cousin, Robinson also wore Grandpa Jim's tie for his baptism, it is a tradition in our family and a way to remind us that even though he can't be with us in person, he is always here in spirit. (I cried every time I looked at him wearing it) Isn't he so cute and handsome? He had cousins come from Denver and Las Vegas as well as those that live in Utah and his Grandma and Grandpa Basinger came from Oregon. It was a perfect day, the baptism, lunch, playing at the park, out to dinner and games/crafts. 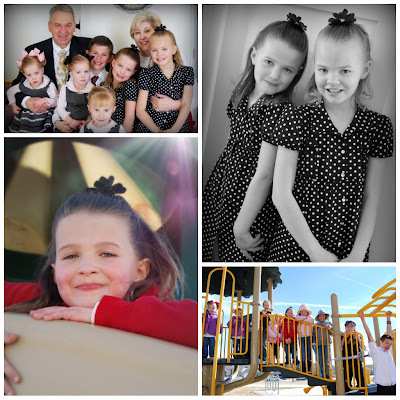 Here are some pictures of the cousins that were able to be there that day. It was so fun to spend a day with family and so nice of them to travel from so far. 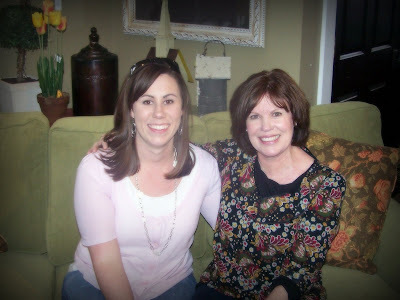 My very favorite Aunt Marilyn came to town to visit and we got together for a day of shopping, fun and laughing until we cried. 1. She is beatiful and stylish. 2. She has a great sense of humor and tells the funniest stories ever. 3. She is a great cook and an amazing hostess. 4. 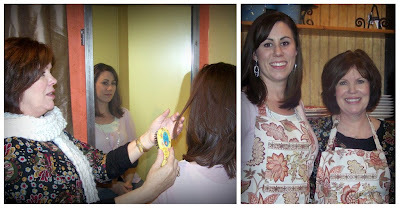 She is thoughtful and generous, always remembering birthdays and new babies. 6. She taught me not only to love See's Chocolate, but how to hide it. 7. 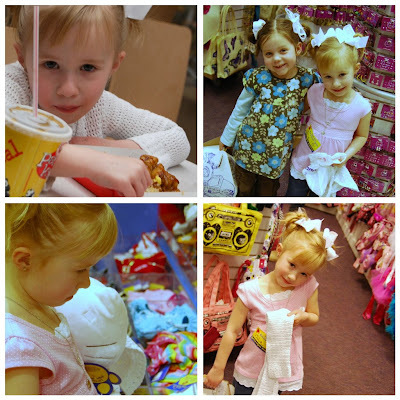 She is the most fun shopping partner. 9. She made me my first prom dress. 10. She reminds me of my mom. I can't wait for our next shopping weekend together!! 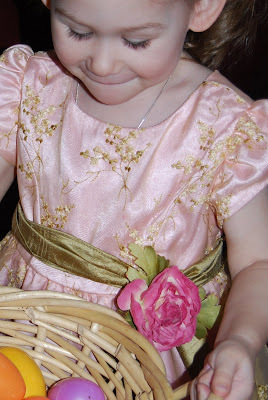 Today is Julia's 5th birthday. I wanted her to have the best day possible so I decided she got to plan the day. 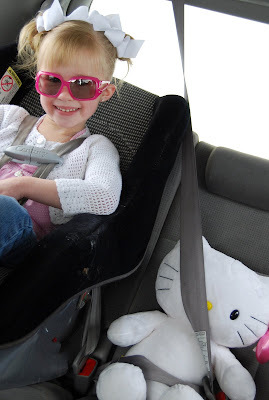 After her fieldtrip, we got in the car with her new Build-a-Bear Hello Kitty (thank you SO much Krista!) and headed where else? 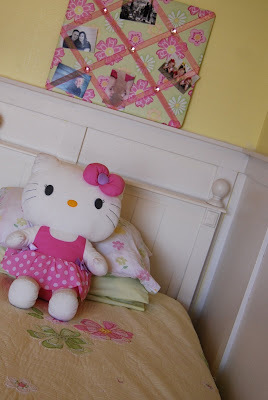 Hello Kitty and some new earings all with her friend London. 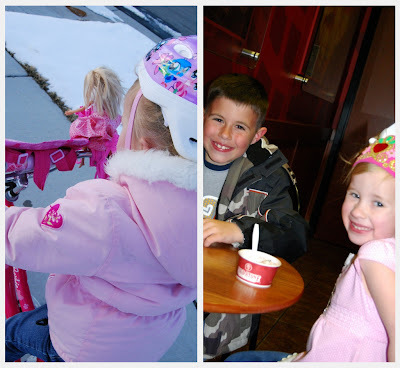 She got to take her new bike for a spin and wanted dessert at ColdStone. dinner of her choice and friends over to play. 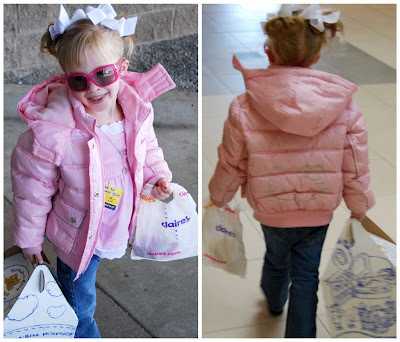 All in all, it was the perfect day for my little shopping buddy. Happy Birthday to the sweetest girl I know. Preview of tommorrow's Dress Sale!!! inventory and there are some cute ones. 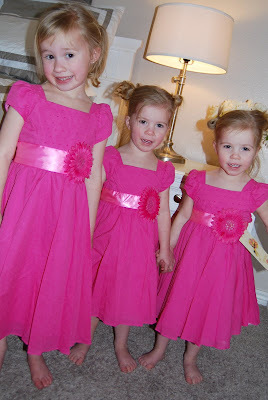 Here are the dresses I have picked out for my girlies. The polka dot one is dark brown, not black. comment with your email and I will email you. Thanks! The Dress party will be at my house again on Tuesday. 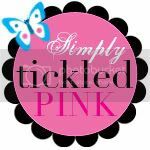 This time she will bring the spring collection, this is my favorite dress party, I love all the spring colors and short sleeves, maybe because it means warm weather is just around the corner. 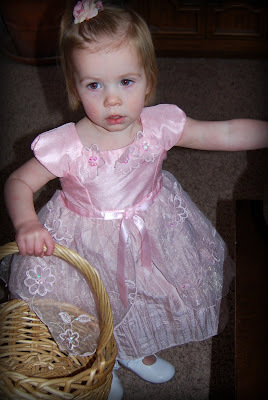 I have bought my girls dresses at these parties for years, she always has such cute dresses. 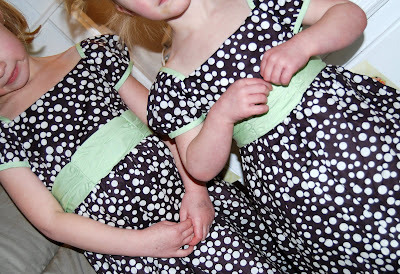 You can find matching dresses in all sizes and if she doesn't have one, she can send it to you. 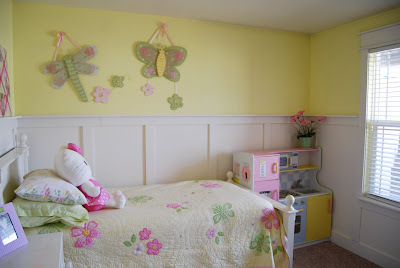 There are 1000 dresses to choose from, sizes 2T-14 and also infant dresses. They range from $20 to $37. This year she has a sale rack of $20 dresses from previous years. 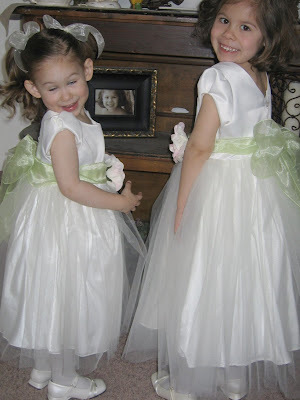 She will also have Baptism dresses available. It is on Tuesday, March 10 from 9 - 11 AM in my driveway. Please come and feel free to spread the word.